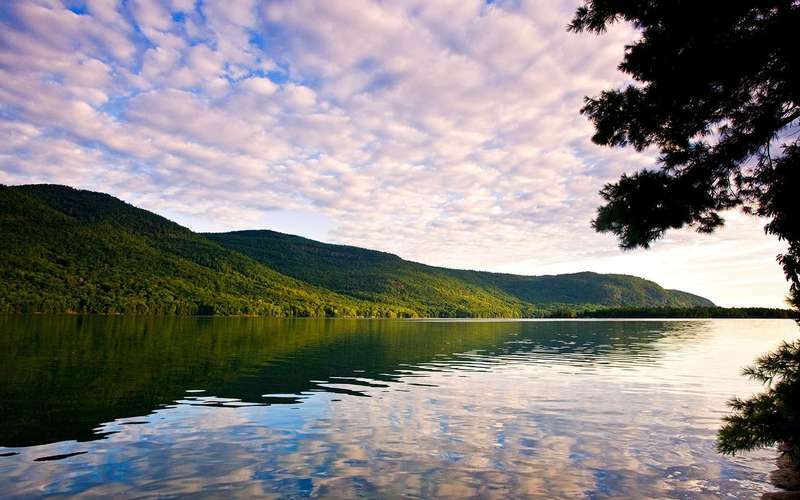 Beauty and seclusion on unspoiled Northern Lake George awaits you! 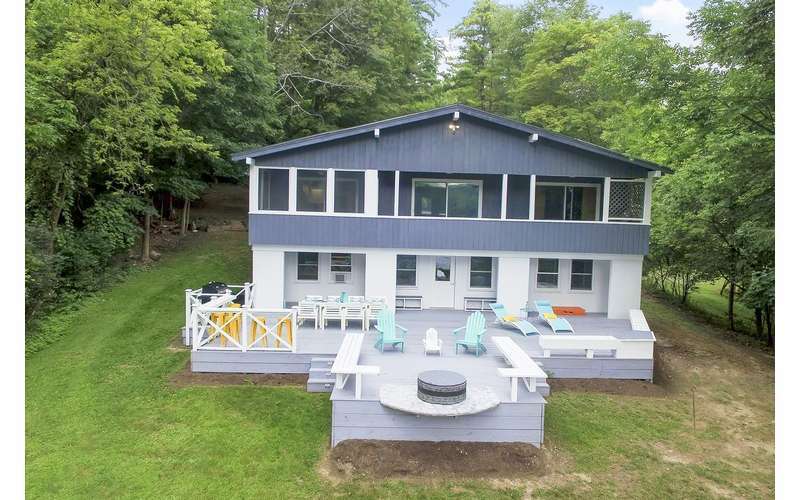 The Sand Dollar Lake Haus is the ideal lakefront vacation home that is located right on Lake George, but away from the hustle and bustle of the village. 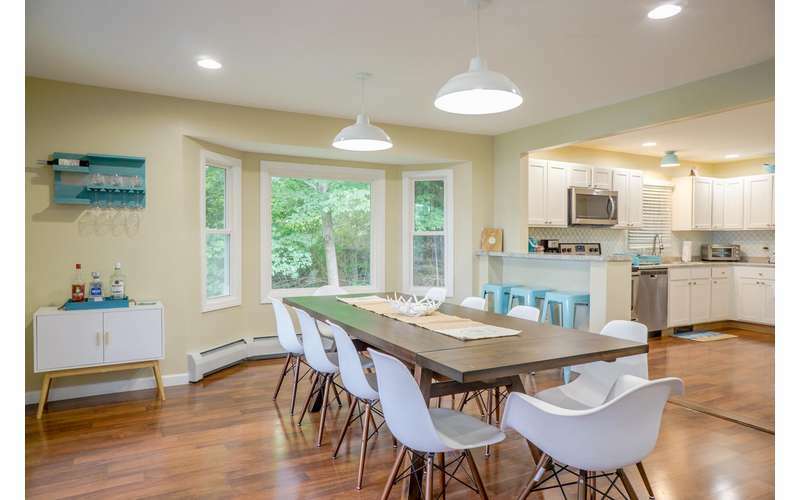 The rental house features 4 bedrooms, gorgeous lake views from the deck, and much more. 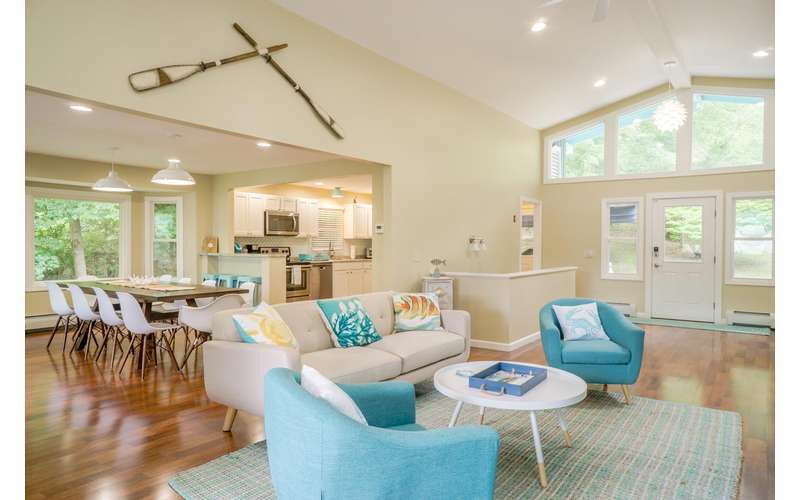 Located in Ticonderoga on the shores of northern Lake George, Sand Dollar Lake Haus consists of over 2,200 square feet of living space throughout two floors, and it can accommodate eight adults and two children. 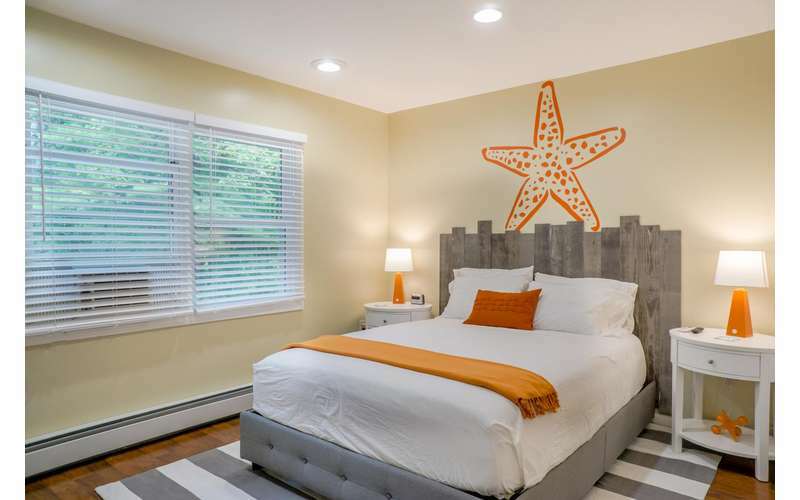 The spacious house is adorned with coastal decor, stocked with modern amenities, and the lake is just 60 feet away from the back door! 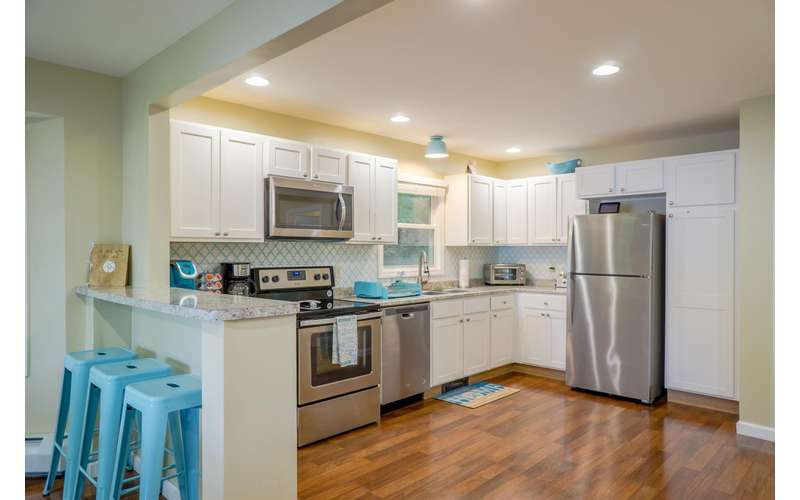 Kitchen with modern appliances - Keurig, crock pot, dishwasher, etc. 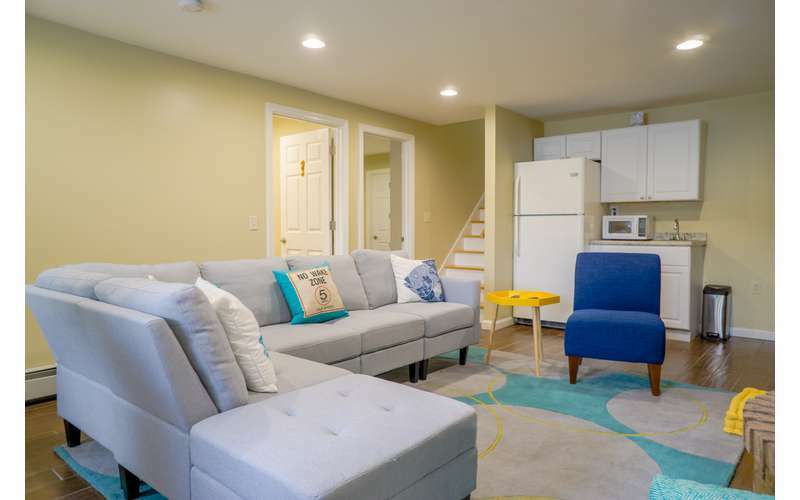 Although you'll be vacationing in a serene and secluded spot, you'll also be close to a number of thrilling outdoor activities, recreational opportunities, shopping, and more things to do. For outdoor fun, you can enjoy swimming, hiking, fishing, mountain biking, kayaking, parasailing, water skiing, whitewater rafting, golfing, and beaches within driving distance. And, you'll find a plethora of shopping and dining opportunities in the Southern Adirondacks and Lake George Region. 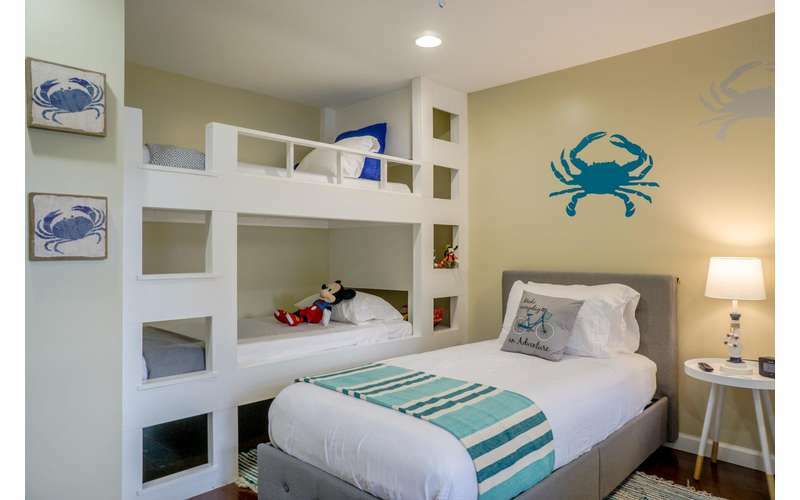 Whether you prefer hanging out indoors, relaxing by the lake with your family, or you're the adventurous type who is always on the move, you're sure to have the perfect vacation at the Sand Dollar Lake Haus. Visit their website and start planning your lakefront getaway today!